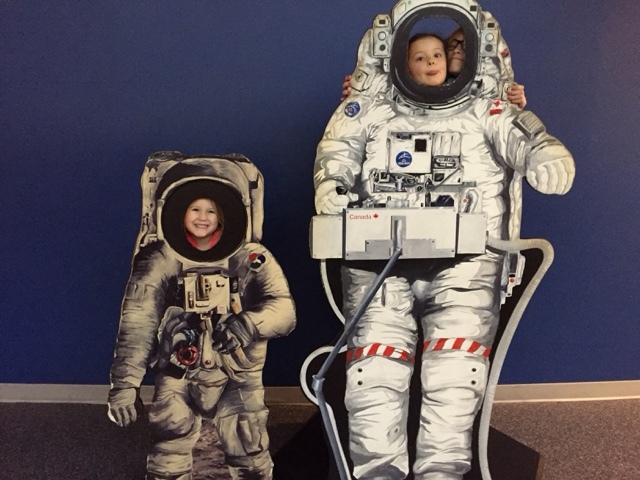 If you are looking for a fun and educational place to bring your children, the Ontario Science Centre is the place to go. Kids are natural scientists, they love to ask questions to figure out how things work and my kids are no exception. 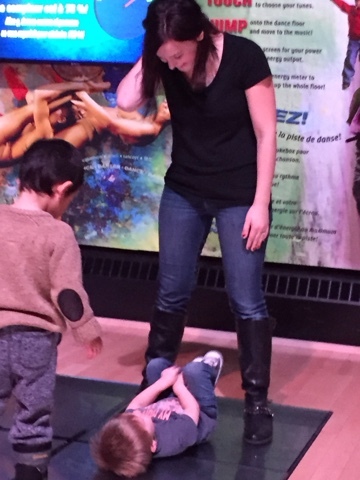 When we went on our road trip to Montreal a couple of years ago I took my kids to the Montreal Science Centre and they still talk about it to this day and ask when we can go back. I wrote a post back in April about buying season passes to the Ontario Science Centre here in Toronto and we have been many times since, learning something new and exciting each visit. I feel so fortunate to live an hours drive to somewhere as amazing as this where the kids can run around to burn some energy while learning. 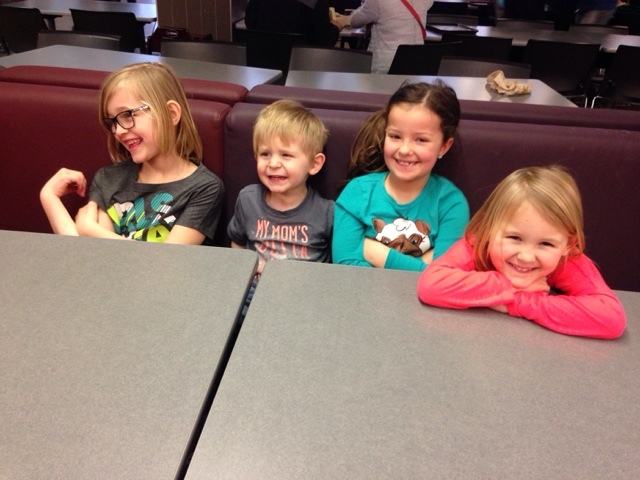 This past weekend we invited some friends to tag along with us for the fun! 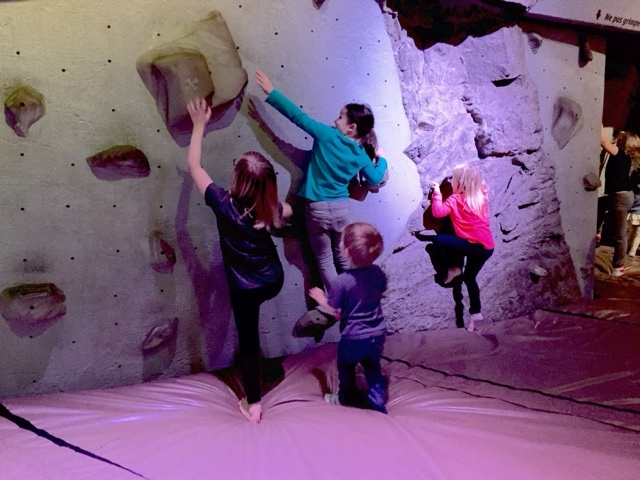 Each membership allows 4 children to come with the adult cardholder for free which is a great perk! 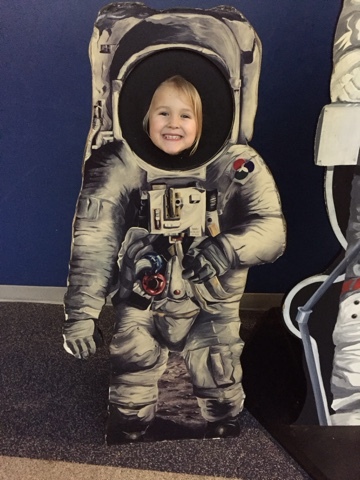 After each visit my oldest daughter Emma asks if I can home school her so we can go to the Science Centre every day haha. Here are some photos from our last visit. 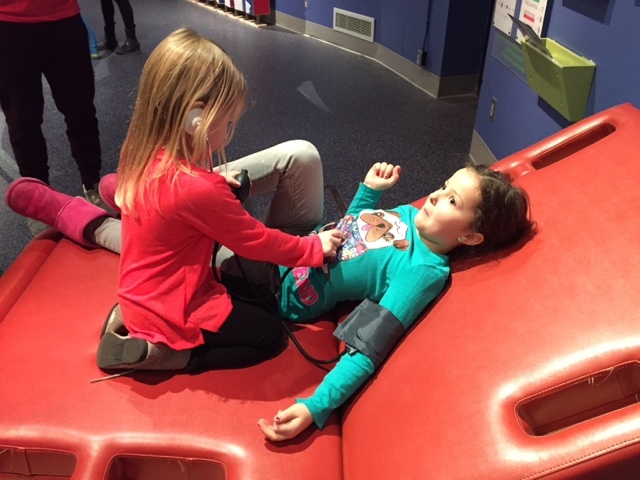 Dr. Audrey listening to her friends heart beat. 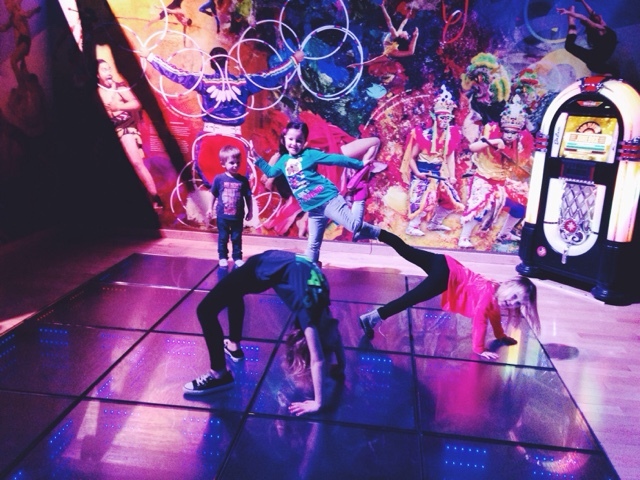 This dance floor is a favourite for our family. We practically have to drag them off of this.